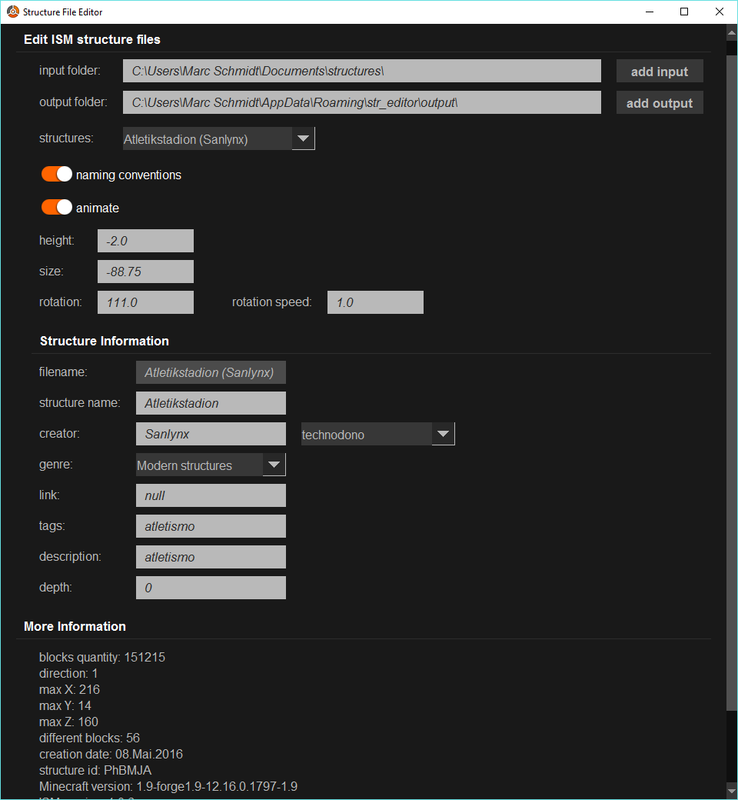 The Structure Editor (StrEdit) was developed by MaggiCraft. He is the also the programmer of the Instant Structures Mod (ISM). With StrEdit you can edit almost any attribute of a structure file. These files have the file ending “.str”. The most important attributes are filename, name of the structure, creator and genre. Less important are tags, description, a link to the official website of the creator or structure and the depth of the structure. These attributes are less important because they are optional. The attribute “depth” is the only one which affects the way the specific structure is placed. You can use it for structures that have a basement. A more detailed description can be found on the official website of StrEdit.